Gleonda Angus Farms, located in the heart of cattle country near Miller, MO has raised cattle for more than 50 years. The farm is ran today by Leon Kleeman and his wife Glenda along with their grandson Traves Merrick and his wife Bailey and son Waylon. Leon Kleeman got his start in the Angus business at eight-years-old when his dad gave him a bucket calf from an Angus-cross cow. From there, his love for cattle and the showring developed. Leon began showing steers throughout his junior days and in the mid-to-late 1950’s, he started buying registered Angus heifers for his herd with the first purchase from John and Cecelia Eck of Pierce City, MO and Leon’s reputation for quality cattle spread quickly throughout Southwest Missouri. In his early 20’s, Leon began competitively exhibiting Angus cattle on both local and national levels. As the herd quickly expanded, Gleonda Farms hosted its first production sale in 1972. Since then, Gleonda Farms has focused on producing cattle with excellence carcass quality, feed efficiency and maternal performance. Today, Gleonda Farms is home to about 300 head and they continue to sell 50-60 registered Angus bulls each year. 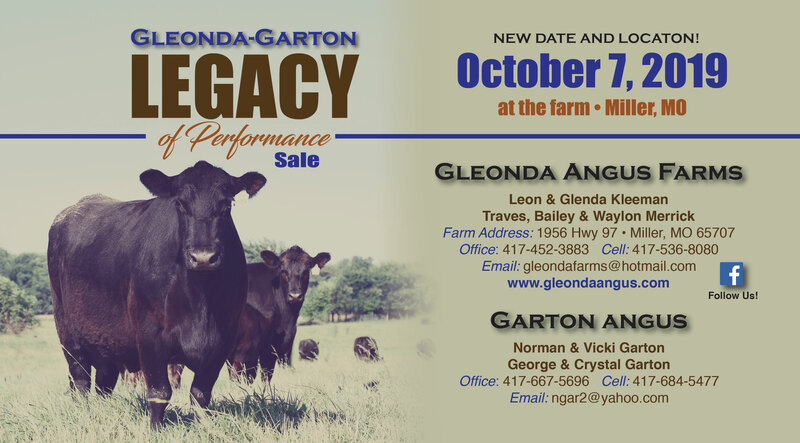 Make plans to attend their upcoming production sale Gleonda-Garton Legacy of Performance Sale March 11, 2018! A strong set of bulls along with some high quality bred and open heifers will be offered. 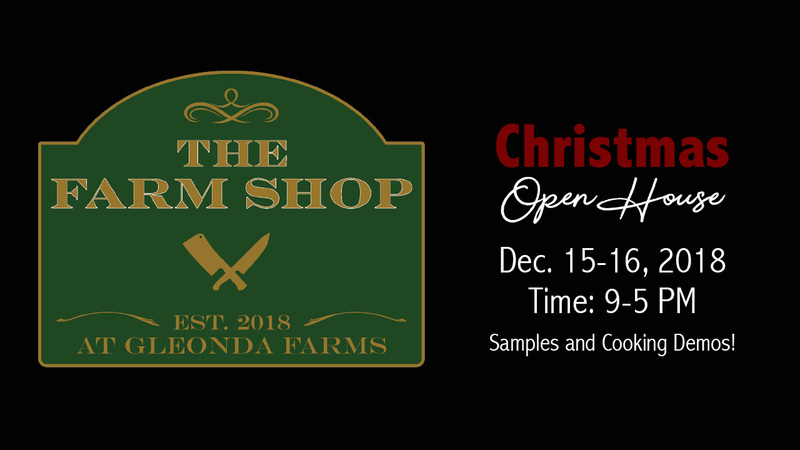 Stop by for a visit. We would love to show you around and talk Angus cattle. Keep up with us at Gleonda Angus Farms. Follow us on Facebook! We hosted the 2nd stop of the Southwest Missouri Cattlemen’s tour on September 16, 2017. Thank you to everyone that took the time to come visit us and learn about Angus Cattle and our operation! Read more about Traves’ trip to the Beef Leaders Institute sponsored by the American Angus Association. Gleonda Angus was honored for the Historic Angus Herd in Missouri in December 2013. Leon and Glenda Kleeman were awared the prestigious Missouri Angus Association Pioneer Award at the 2011 Missouri Angus Association banquet and meeting. Visitors welcome anytime. Please call ahead!